I figured it was time for me to make a long overdue introduction to the newest attraction at The Duck. I was told that the first thing we had to do was come up with a name for our newest duck, so here we have Miss Dizzy Duck. She has made lots of new friends over the past couple weeks. There have been lots of kids enjoying a ride down her back. All day long she just sits there and smiles, loving all the attention. Nothing seems to ruffle her feathers. 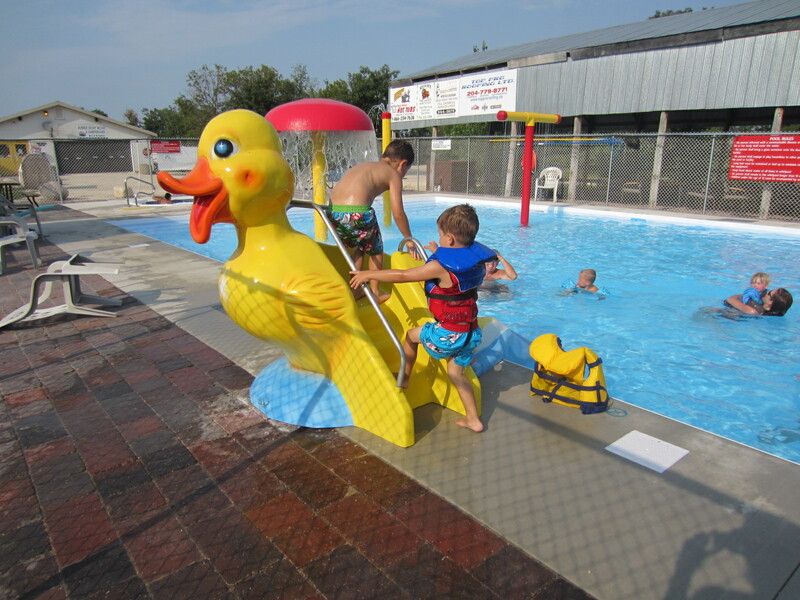 This entry was posted in travel and tagged campground pool slide, duck slide, family campground winnipeg, kiddie pool slide, seasonal camping winnipeg. Bookmark the permalink.